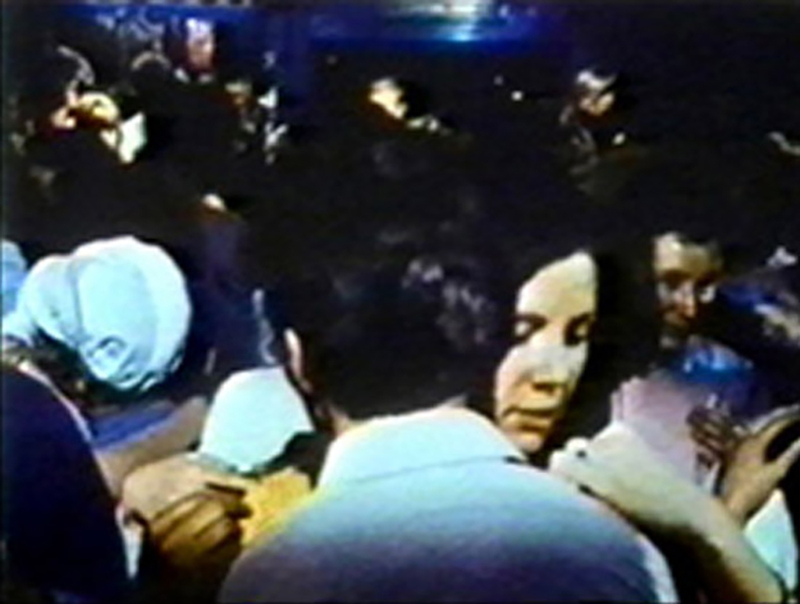 The sound of a sonar echo permeates the space emitted from a gray metal public address speaker mounted near the ceiling. Source: digitally created for Gravity. 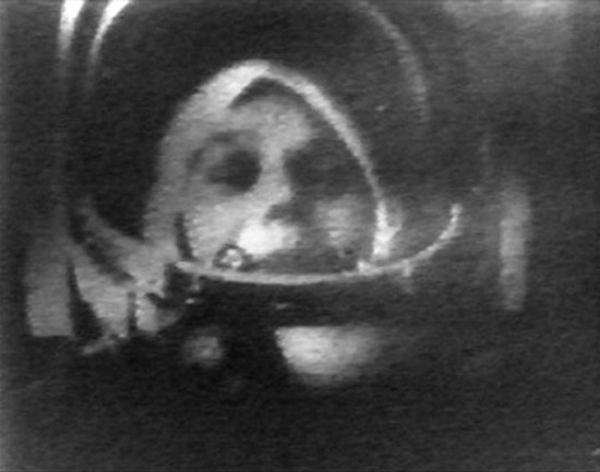 Video projection loop of “the First Woman in Space”, Valentina Terechkova, waving and smiling for the camera from her Russian space capsule. Projected onto an opaque Plexiglas screen suspended from the ceiling. Viewers can watch the flickering black & white image from both sides. 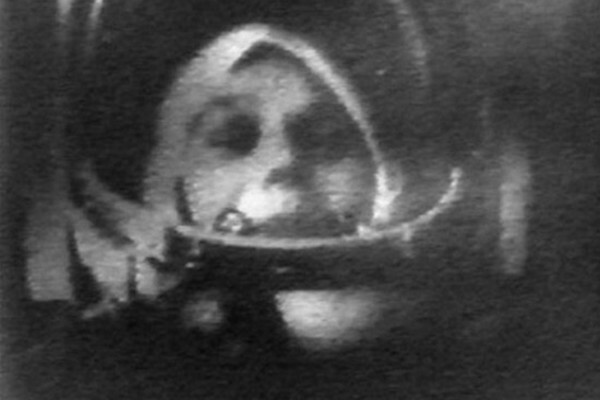 Source: Dateline: 1961/62 Into Orbit, produced by ABC News, New Atlantic Productions, 1982. Spatial variations: This work has been installed in various gallery spaces in both group and solo exhibitions.